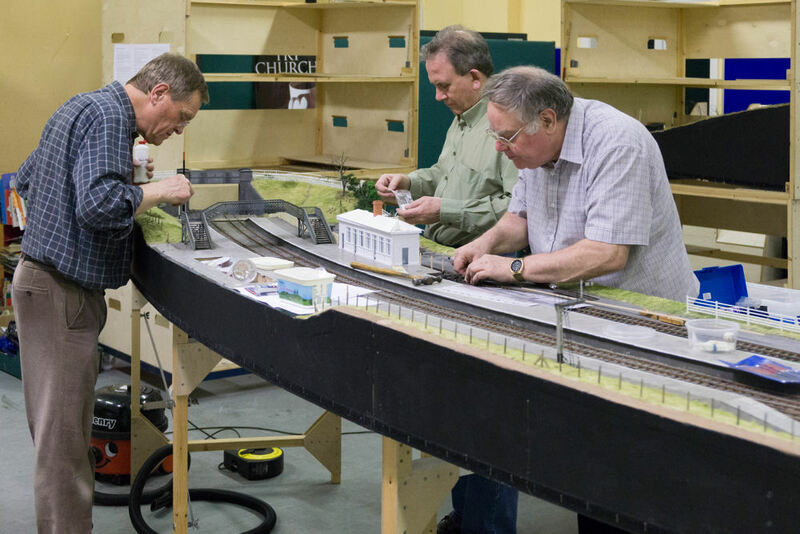 Our new layout has been designed to fit a long curve into one side of our existing test track. The new section will make the existing test track into a large D-shape some 34-feet by 17-feet. When complete it will be a two-road through station based on London North Western Railway (LNWR) practice, with a goods yard to provide opportunities for shunting. The existing fiddle yard which has eight roads will be utilised. The name was selected by looking at an old map of the area in which we wanted the layout to be set and choosing a place which had the correct topography, including a canal. This proved to be adjacent to the ex-LNWR line running between Whitchurch and Chester at a place called Grindley Brook. No station was shown but, having chosen the name, we subsequently discovered that at some time a halt existed; so what we are constructing will assume that considerable rebuilding has taken place. By choosing LNWR origin it is hoped that it will make it easier to construct the station buildings as, in reality, these were modular. We are hoping to make patterns of the various panels and have them cast. Assembly should then be relatively easy. This will allow more time for the more complex buildings. Club members also have existing stock suitable for this location. Discussion is ongoing as to whether a change should be made to DCC and if so the best way of resolving the problems involved in converting existing stock. The track has now been laid and wired up. Test running of various locos and lengths of trains has shown up the odd minor problem that needs resolving and a start has been made in weathering/painting the sides of the rails, landscaping and platform construction. 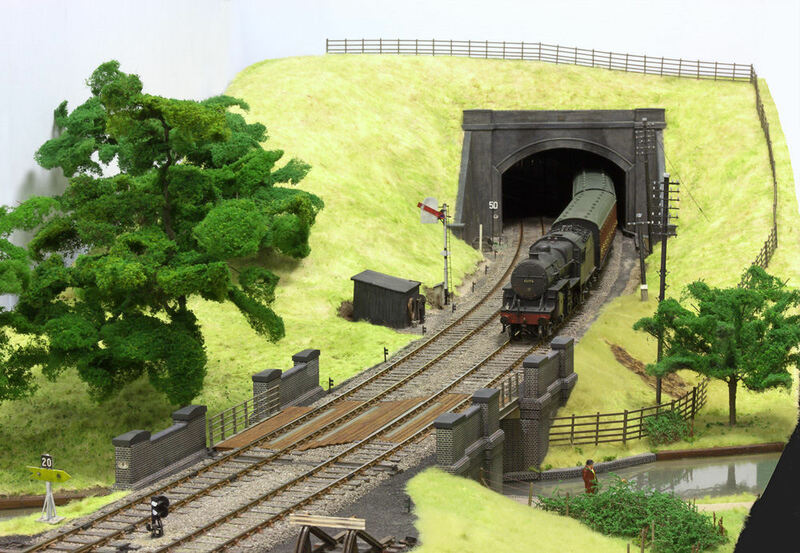 There are more photographs of Grindley Brook on the Layout Photos page. The test track consists of four ovals of track. One of the straight sections having a passing loop for each oval so that trains can be made-up without interfering with the running locomotive. One of the ovals can be operated using DCC. Its been operating regularly on the second Thursday of each month. 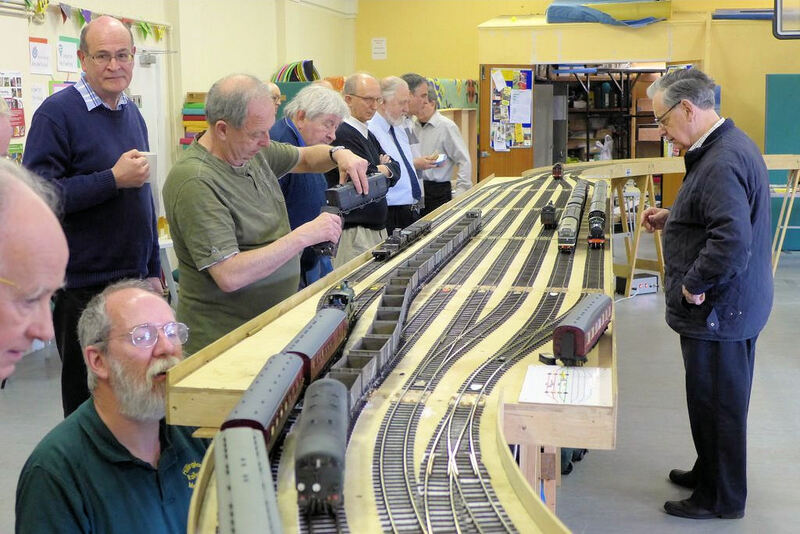 On occasional Saturdays, (typically on a school holiday weekend), the test track is available for public use on our running days, see our home page, for dates.